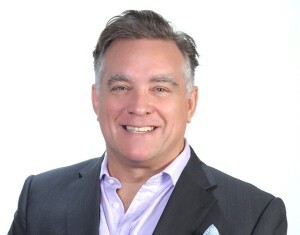 As the consumer landscape changes and consumer habits and the purchase decision making process evolves, it is imperative that brand owners understand where, when and how to spend their valuable and increasingly limited resources. Historically advertising agencies defined and controlled a brand’s message and through which channels it was broadcast. They would then blitz consumers with intrusive advertising and messages. The goal was to reach as large and as broad a target audience as possible on those platforms with the most extensive penetration. But in the social economy, consumers have little faith in such corporate driven messages broadcast across mass media channels to which they are paying less and less attention. Today consumers spend their time in a variety of social networks or in niche online communities with like-minded people. And it is to these people they look to when seeking information on products and services. The end of advertising agencies? So does this mean the end of advertising agencies and advertising? Definitely not, there is still a need for good advertising agencies that create good work but the process has changed and the advertising agency can no longer be given responsibility for building brands. In the past, branding and advertising used to be elements of marketing. Today, marketing and advertising are part of branding and it is the brand consultant you should look to if you want to build a brand. So here is an outline of the difference between an advertising agency and a brand consultancy. Hopefully this will give you enough knowledge to make an informed decision on who should build your brand. The most strategic actions you will get from an advertising agency will be a brief. The brief will define the proposition that the advertising must communicate and to which segments. But then what? And what about internally? How will you get personnel on brand? Does the delivery driver or sales assistant know what their role is in the delivery of the promise/s made? A brand consultant will develop a brand plan or brand blueprint that will drive the brand strategy, both internally and externally. This holistic approach will address all key elements of the brand, from the copy used in recruitment advertising to customer facing departments and their ability to represent the brand to point of sale and retention strategies and more. The brand consultant will then work with you to determine the best resources to use to get the whole organisation on brand. It is not possible to define a brand through an advertising brief but it is possible to define a brand through a brand plan or blueprint. That’s what they are good at. In fact some of them are very good at it. Advertising uses creativity and a slick message (normally defined by the organisation) to get your attention. And this is done via campaigns pushed out across TV, radio, billboards, websites and so on. The idea is that enough people will see the campaign and the message will hopefully resonate with as many people as possible. And of course the agency gets a commission for placing these ads with the channels. If it doesn’t work you either get the agency to come up with another creative idea and go through the whole process again, get rid of the agency, hire another one and hope they can come up with a creative campaign that does resonate or you can go out of business. And as consumers have lost faith in traditional marketing and now distrust the messages contained in such campaigns or simply miss them because of the clutter, it is increasingly difficult to build a brand using such a model. So unless you have very, very deep pockets and can advertise consistently for long periods of time, this approach is simply going to waste valuable resources. A brand consultant will carry out an audit of your business, industry, processes, systems, stakeholders and more and then determine the best way forward for you. Solutions may require advertising but will also look to improve R&D, sales, production, supply chains, operations, customer relationships and retention strategies. If the agency is going through a difficult period and doesn’t have many staff when they win your business, the agency will attempt to employ talent with experience in your industry. Unfortunately, if the talent isn’t available, perhaps because they are working for competitor agencies, you will end up with sub standard people working on your brand and your chances of success are reduced further. Because branding is a strategic institutional initiative, not a marketing initiative and therefore must have the buy in of executive management, a brand consultant will insist on having C level involvement in the development of the brand, which places your brand strategy where it should be, in the hands of executive management. There aren’t many awards for brand consultants, which is a good thing because this allows them to focus on increasing profitability, often through developing and strengthening relationships with stakeholders and customers. A brand consultant will develop a strategy to acquire and retain customers. Why? Because much of the advertising targets irrelevant demographics or customers that cannot afford or are not interested in the product. A recent report in the Harvard Business Review quoted a UK study that reported 72% of CEOs are tired of being asked for money from marketing departments without an explanation of how it will increase business. Furthermore, in the same survey, 77% of CEOs have had enough of talk about ‘brand equity’ that can’t be linked to any real equity. A brand consultant will ensure budgets are spent on the right strategies for the right segments with metrics for measurement. A brand consultant will look to collect and leverage specific data to develop targeted communications across digital channels to engage prospects, whilst carrying on conversations with existing customers. This approach is flawed because successful organizations are nimble and by the time you have developed your position the competition’s strategy will have evolved. A brand consultant will be aware of competitor activities and will use that knowledge to strengthen the firm’s competitive advantage but will not allow competitors to define strategy going forward. A brand consultant will develop metrics to measure promotions, advertising and other activities. 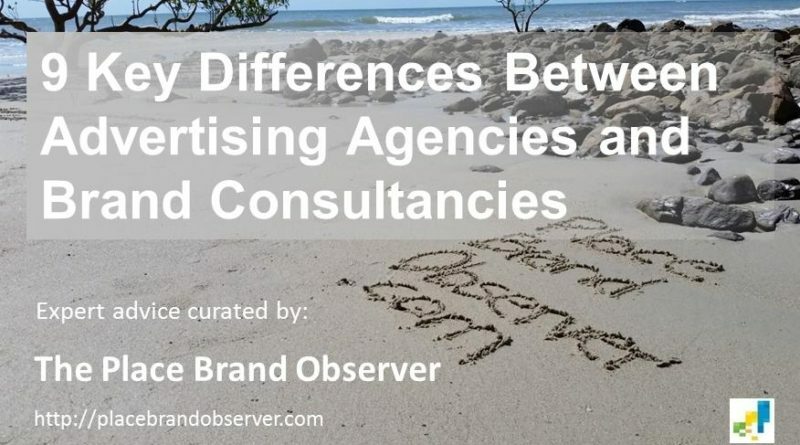 Via What is the difference between an advertising agency and a brand consultancy? Learn more about Marcus Osborne and his work in our interview. 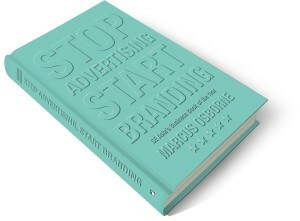 Tip: More reasons why you should stop advertising and start branding in the recent book by Marcus Osborne, available via Amazon US or Amazon UK.